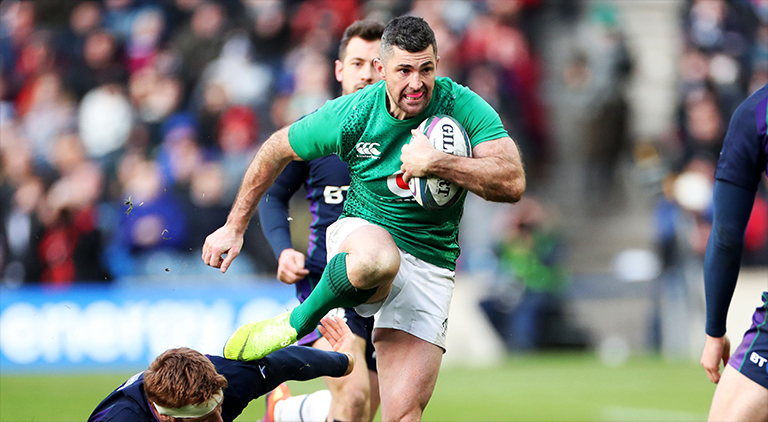 Five Irish players have been included in Midi Olympique’s Six Nations team of the week after they bounced back from their defeat to England with a win against Scotland at Murrayfield on Saturday. The returning Rob Kearney, winger Keith Earls, centre Chris Farrell, number eight Jack Conan and lock James Ryan have all made the cut. England meanwhile dominate after their demolition of France. They have no fewer than six players in the XV, with hat-trick hero Jonny May, centre Henry Slade, playmaker Owen Farrell, and forwards Tom Curry, Courtney Lawes and Jamie George all making the cut. Check out the team in full below.